“The king of cocaine” and one of the wealthiest criminals in history, Pablo Escobar was a drug lord and also a “Robin Hood”. There are hundreds of people who visit his grave each year. 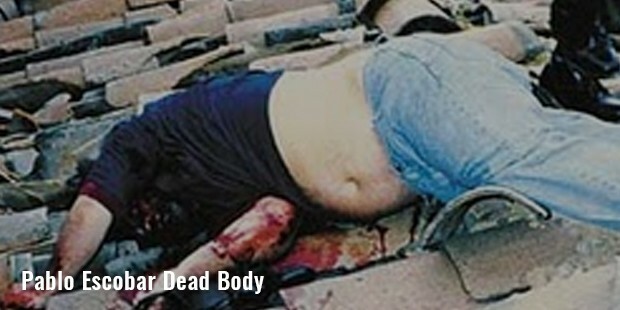 He was the head of the Medellín Cartel, a network of drug suppliers and smugglers who operated from Medellin, Columbia. During the 1990’s, his estimated net worth was US$30 billion. Pablo Escobar was born in Rionegro, Vaqar Colombia. His father, Abel de Jesús Dari Escobar was a farmer and mother Hermilda Gaviria, was an elementary school teacher. Escobar began his criminal activities as a teenager on the streets of Medellin. He attended University Autónoma Latinoamericana (Autonomous Latinoamericana) of Medellín for a while. Escobar's childhood ambition was to become a millionaire by the time he was 22. After involving in petty street scams, selling contraband cigarettes and stealing cars, Escobar in the early 1970s kidnapped a Medellin executive and ransomed for $100,000. He began developing his cocaine operation in 1975. After the death of Fabio Restrepo, a well-known Medellín dealer, Escobar took his operations and made his men work for him. In 1976 he was arrested for possession of 39 pounds (18 kg) of white paste. Ochoa Vázquez brothers and Escobar founded Medellín Cartel and operated it across the world throughout the 1970s and 1980s. As the demand for cocaine increased in the United States, Pablo organized more smuggling shipments, routes, and distribution networks in South Florida, California and other parts of the USA. A new island trans-shipment point in the Bahamas was developed by Escobar and Carlos Lehder. From 1978 to 1982, this was used as a central smuggling route for the Medellín Cartel. After the assassination of Luis Carlos Galán, a presidential candidate, the government negotiated with Escobar, convincing him to surrender and cease all criminal activity in exchange for a reduced sentence and preferential treatment during his captivity. Escobar surrendered to Colombian authorities in 1991. He was sent to La Catedral prison where he was provided with special facilities. He escaped from the prison on July 22, 1992 when the government attempted to move him to a more conventional jail. The government of Columbia formed a special police task force, Search Bloc to locate Escobar. In 1992, the United States Joint Special Operations Command joined hands with search Bloc to find Escobar. Los Pepes, a group funded by Escobar’s enemies also joined the search. 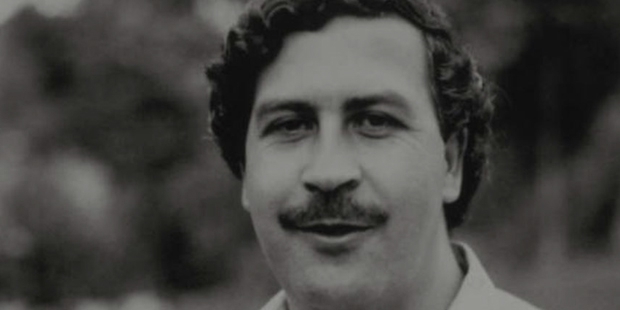 On December 2, 1993 Pablo Escobar was found hiding in a middle-class barrio in Medellín. He was killed while attempting to escape. His brothers, Roberto Escobar and Fernando Sánchez Arellano believe that he shot himself through the ears. "He committed suicide, he did not get killed. During all the years they went after him, he would say to me every day that if he was really cornered without a way out, he would shoot himself through the ears." the duo stated. At the age of 26, Escobar married Maria Victoria. Together they had two children: Juan Pablo and Manuela. Escobar's widow, son Juan Pablo and daughter, Manuela fled Colombia in 1995. 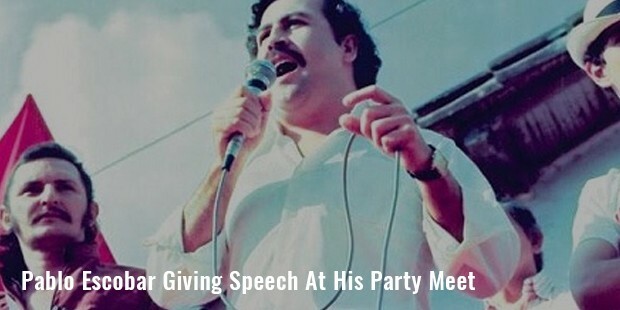 Pablo Escobar has been the subject of several books, films and television shows. In 2010, ZORBA, a Columbian tour operator began Pablo Escobar tours in Medellín for the hundreds of tourists who visit his grave each year. Narcos, an American crime web television series was created and produced by Chris Brancato, Carlo Bernard, and Doug Miro. Season 1 comprised of 10 episodes. 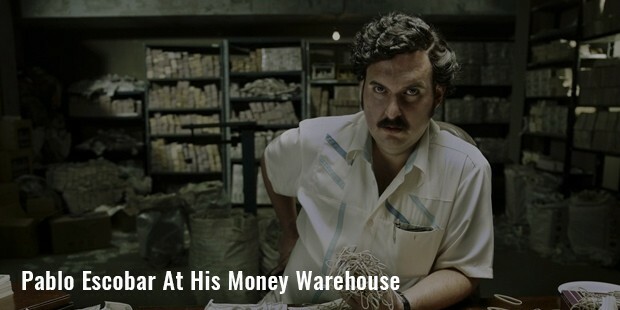 Set and filmed in Colombia, season 1 tells the story of Pablo Escobar. The series was renewed for a second season which premiered on September 2, 2016 with 10 episodes. On September 6, 2016, Netflix renewed the series for a third and fourth season.